Minimum ageing period: 180 days. 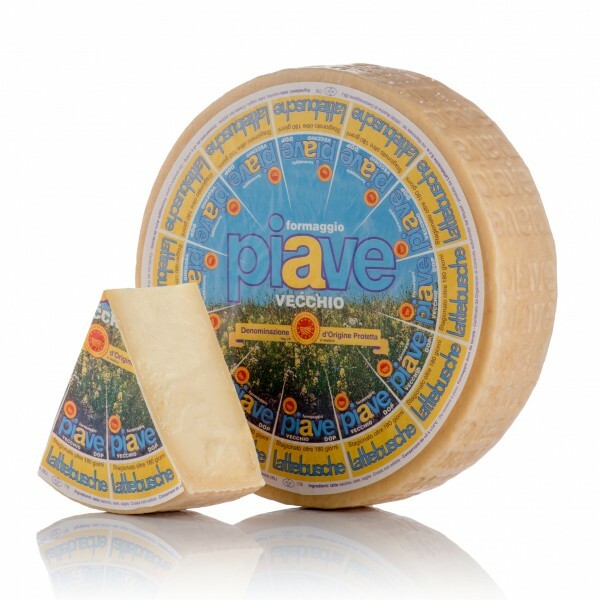 Piave PDO Vecchio is aged more than 6 months. It has a compact, yellow-coloured curd and a full-bodied and slightly fruity flavour that makes it absolutely unique. For brand awareness and consumer protection, the brand is imprinted vertically, in alternating directions, over the entire rind. It also has a pelure paper label on one flat side, which indicates the aging of the product. Aged more than 180 days. Flavour full-bodied and slightly fruity. Dimensions diameter 27/31 cm, height 8 cm. Weight 6 Kg +/-1 Kg.